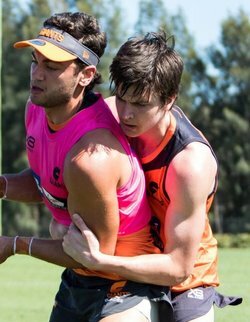 EVEN before he made his WAFL league debut for Swan Districts in Round 19 of this year, Sam Taylor looked destined to be drafted to the AFL but his standout performances at senior level cemented his fate and now he's settling in well at the Greater Western Sydney Giants. Following some strong colts performances both in 2016 and then the first half of 2017, Taylor had put his name up in lights as a potential AFL Draft prospect and someone who a club could back in to become a strong defender of the future. But once he starred at league level and took on some of the biggest tasks in the WAFL against star forwards, that's when it emerged he could even end up being a first round draftee. That didn’t quite end up happening, but it wasn’t far off with the GWS Giants selecting the 18-year-old from Upper Swan Junior Football Club with selection No. 28 in the 2017 NAB AFL Draft. That sees him join fellow Swan Districts products Stephen Coniglio and Rory Lobb with the Giants as the Swans' connection continues. There was little time for Taylor to let his drafting sink in. After being selected on the Friday, he was on the move to Sydney by Sunday and taking part in his first gruelling training session on Monday. It was a bit tough early on and a whirlwind few days, but Taylor now is settling in and getting accustomed to being in the AFL system. "It has been a bit tiring but I've enjoyed it so far and loved every second of it," Taylor said shortly after arriving in Sydney to begin pre-season training with the Giants. "That first Monday was tiring and I was exhausted after that, but as the days have gone on it's got a lot better and the guys are a great bunch of boys. "It's been awesome getting to know everyone and I'm looking forward to getting to know them even better from now on." Taylor had little reason to doubt he would be drafted following his standout seven league appearances to close the season for Swan Districts, including the elimination final victory against West Perth and then first semi-final defeat to South Fremantle. Along the way, he made his debut against eventual premiers Peel Thunder and by the next week against Subiaco, he was one his team's best players with 14 possessions, six marks and four tackles. Taylor went to another level again in Round 23 against East Fremantle with 27 possessions and eight marks. Then in the elimination final win over Swan Districts at Steel Blue Oval, he kept the dangerous Tyler Keitel goalless while having 18 disposals and four marks himself. He then finished off his campaign with another strong defensive showing holding South Fremantle key forward Mason Shaw goalless despite the heavy loss for Swans in the first semi-final at Fremantle Community Bank Oval. Despite being talked about as a first round draft pick, Taylor was still a little nervous about having an AFL future until he heard his named called out. Once it was, it was all about getting ready to move across the other side of the country. "I was a bit nervous for the draft but I was sort of excited at the same time. I was with my family and a few friends, and then when my name was called out I was the happiest I've ever been," he said. "I had a little inkling I might get picked up by someone and then when it was Greater Western Sydney it was a nice surprise. "It all happened pretty much at once and I had to make the move pretty quickly, but this year I've moved away from home to prepare for it and it's put me in good stead." Taylor has set his sights on trying to become in contention for an AFL debut as early as possible in the 2018 season and anyone who saw him play late in 2017 with Swan Districts in the WAFL wouldn't doubt that's possible. 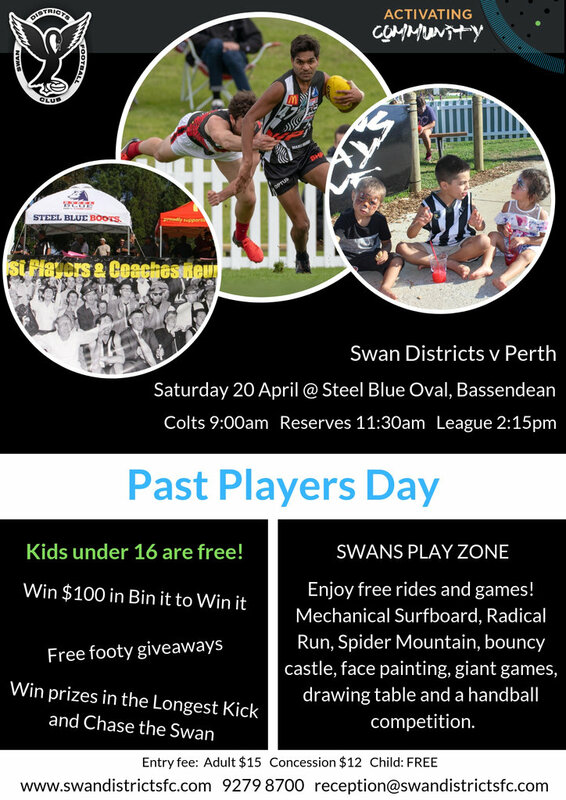 He would like to model his game on another Swan Districts product, Richmond premiership star Alex Rance, as well. 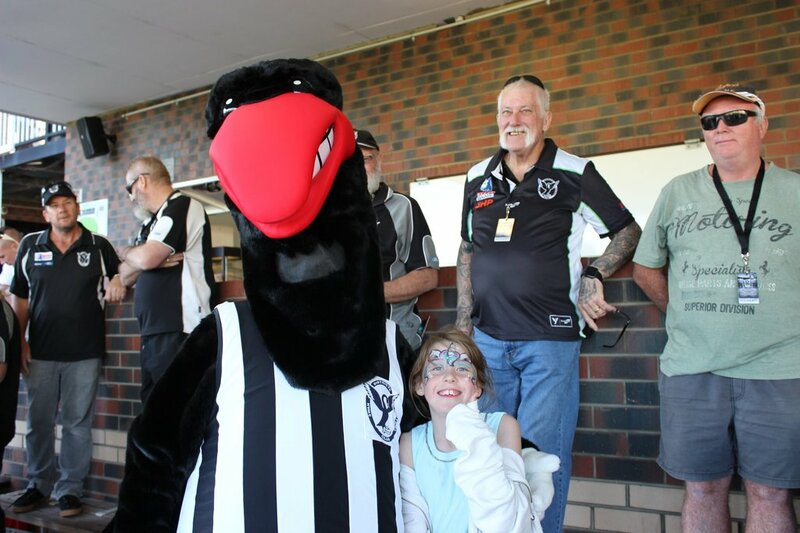 "I've always loved football ever since I've been a kid and I've been playing for Swan Districts Football Club. My preferred position is centre half-back and I try to model my game on Alex Rance," Taylor said. "I just hope to be the best I can and hopefully push for a position to play in the AFL team as soon as possible."